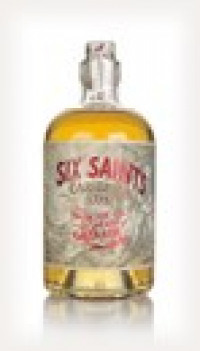 Six Saints Caribbean Rum comes to us from Grenada after being aged in bourbon barrels and bottled at 41.7% ABV. Though Grenada is known as the 'Island of Spice', this isn't actually a spiced rum! This makes for a good cocktail rum, with plenty of classic vanilla and tropical fruit notes all the way through.